The second stage of the SpaceX Falcon 9 rocket, with the Jason-3 satellite still attached, remain in a planned coast phase. The next major milestone will be the second stage’s second burn, coming up in just a few minutes. 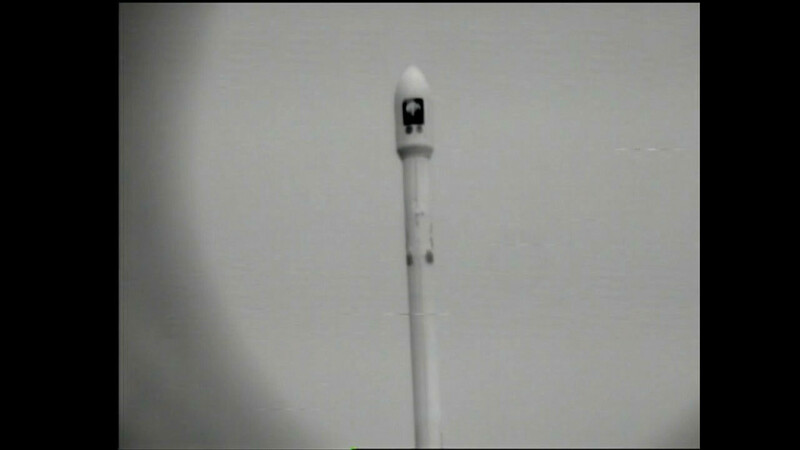 As we enter the coast phase, here are a couple of launch views taken from NASA Television. 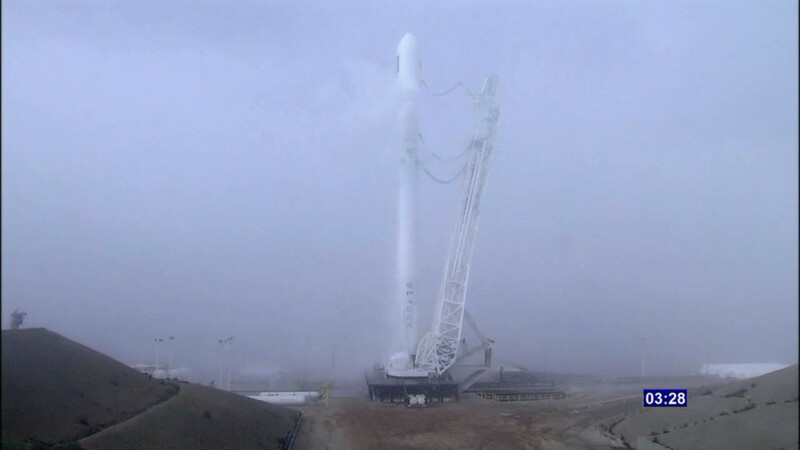 The Falcon 9’s second-stage Merlin engine completed its first cutoff right on time. This puts the Jason-3 spacecraft and the rocket’s second stage in coast phase lasting about 46 minutes. The SpaceX Falcon 9 power and telemetry are “nominal” — just as expected — as the vehicle continues its flight. Having performed its job, the first stage of the Falcon 9 rocket separated from the second stage, which continues to carry Jason-3 to orbit. The second stage single Merlin engine ignited as planned and is scheduled to cut off at 10:51 a.m. PST. The payload fairing, which protected Jason-3 during its ascent through Earth’s atmosphere, was jettisoned shortly after engine ignition. Falcon 9 main engine cutoff occurred right on time. Stage one/two separation, second-stage ignition and fairing jettison are coming up shortly. 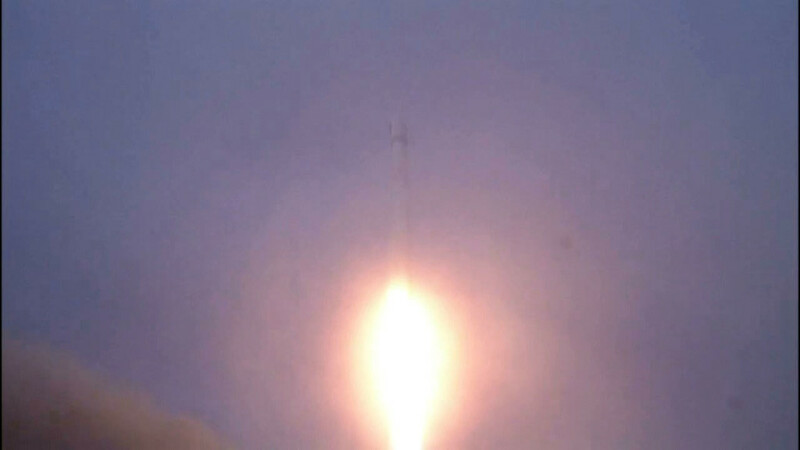 The Jason-3 satellite is on its way to join its predecessors in orbit, carried aloft on a SpaceX Falcon 9 rocket following an on-time liftoff from Space Launch Complex 4 at Vandenberg Air Force Base in California. Starting in about two and a half minutes, a series of critical milestones will occur in rapid succession. First is Falcon 9 main engine cutoff, followed by the separation of the first stage from the second stage. Then the second-stage engine will ignite, and finally, the payload fairing protecting Jason-3 will separate and fall away. The Western Range is confirmed “go” for launch.